My most recent sculpture to date is Sublime Transitions. It is about the “leap of faith”. A traversing of the known into the unknown for the possibility of bettering one’s current situation. To convey this “crossroads” visually, I have chosen to represent the concept in metaphor through the sublime change of state of a substance. This, of course, refers to the wondrous change that defies what seems to be the natural order of things. To pass to a gaseous form, from a solid, without turning to a liquid state. This phenomenon, of going directly from solid to a gas, is usually demonstrated with frozen carbon dioxide (dry ice), What is generally not considered when witnessing this is, that once this has happened, it is not reversible. Understanding this irrevocable nature of the sublime state is quintessential to understanding the concept central to my sculpture “Sublime Transitions”. 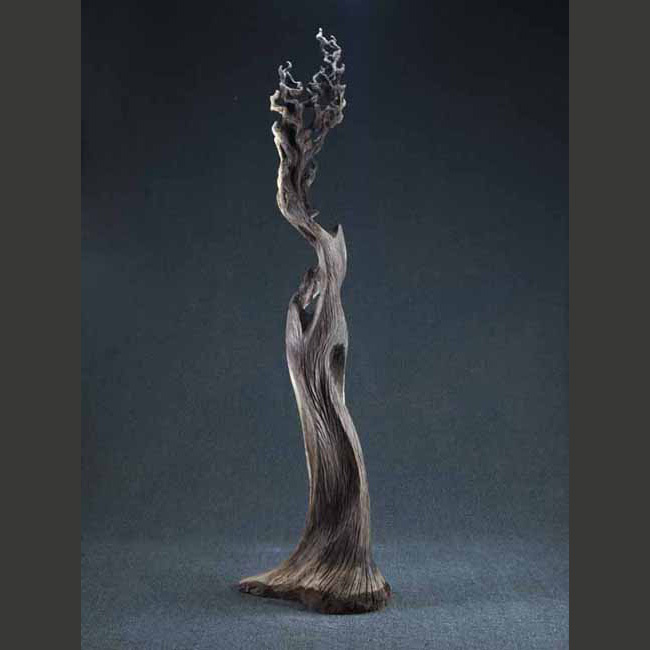 The sculpture starts “firmly footed”, rooted, grounded in the known. But on rising from that position the form struggles with the question at hand. 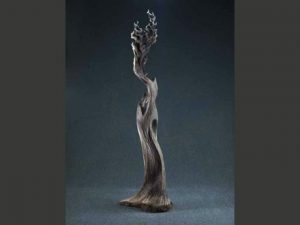 It twists to and fro without a well-defined direction indicative of indecision and then continues it’s quest into the unknown as it forms a vaporous state in the shape of a hand reaching into the unknown.